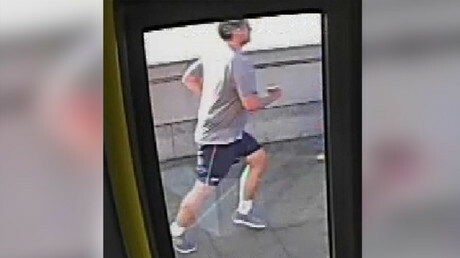 Police searching for a jogger who appeared to push a woman into the path of a London bus say they have made an arrest. A 50-year-old man is being held following the incident, which took place on Putney Bridge on Friday May 5 at 7:40am local time. The Metropolitan Police said the man was detained at an address in Chelsea on suspicion of causing grievous bodily harm (GBH). Shocking CCTV footage appeared on Tuesday showing a woman being pushed head-first into a busy road by a passing jogger. 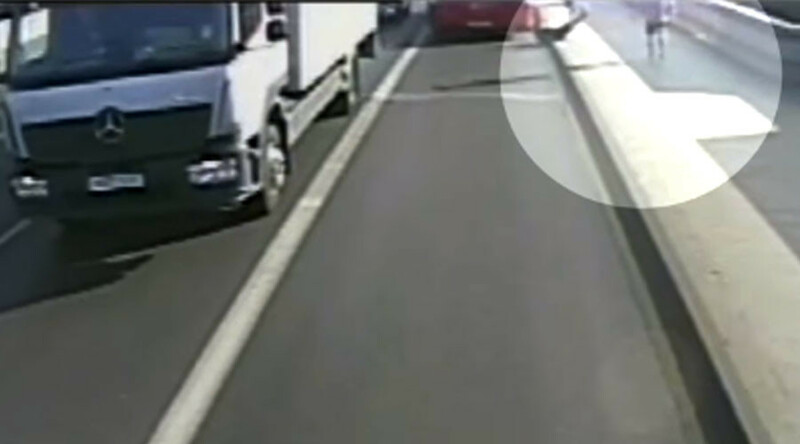 The driver of a double-decker bus was forced to swerve to avoid hitting her. The suspect reportedly returned to the scene 15 minutes later, running across the other side of the bridge. The woman tried to speak to him, but the man failed to acknowledge her and continued running. “Police investigating an assault after a jogger appeared to push a woman into the path of an oncoming bus in Putney have made an arrest,” the Met police said in a statement on Thursday. The woman was saved thanks to the swift actions of the bus driver, police added. The Met said it has received a “huge response” to its public appeal for information.